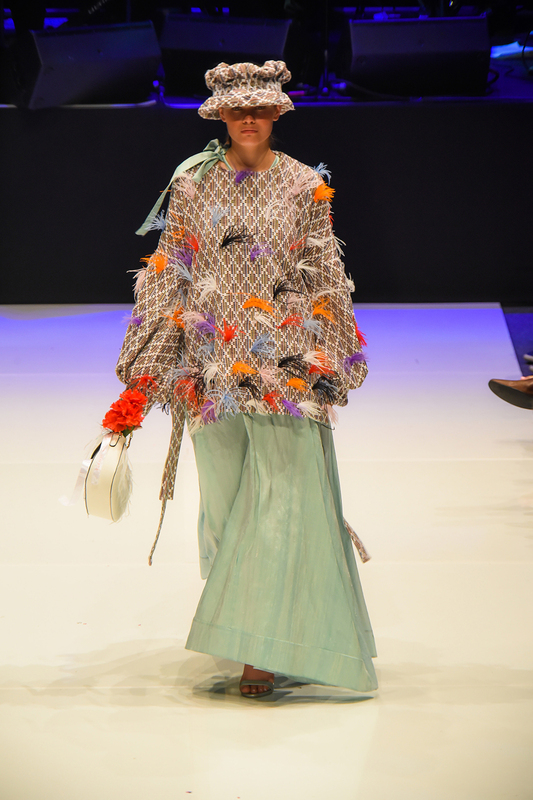 Let these styling hacks from the runway at the iD International Emerging Designer Awards 2019 inspire your own look. Read on for some quick tricks to bring a little rebellious spirit into your wardrobe. Prepare to sashay through the day by pairing your favourite slouchy sweater with a maxi dress or skirt. Sneakers will do the trick, or try out boots or glitzy heels for extra height. Come winter, why not try out tucking your trousers into boots? If it’s good enough for Maryam Nassir Zadeh, it’s good enough for us. Bonus points for the additional layer of a bumbag secured around your waist – Zambesi is offering up the chicest of the season. Next time an occasion calls for something glitzy, ditch the dress and go for artfully combined separates. Pick a hero colour and mix textures galore. If that’s all too much, dip your toe in with a handheld evening bag in a surprising shape. Feeling bold? Micro-lengths paired with boots (or in this case, chaps) that hit above the knee is a 60s combo making a comeback. Add a cosy cape and opaque tights for extra wearability.